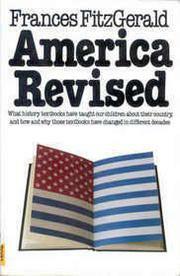 An intelligent, reflective examination of American history textbooks by an author (Fire in the Lake) of consuming curiosity and no crippling allegiances. Fitzgerald has looked into the textbook industry, where editors reign and worthies lend their names, and into the all-controlling, differentially weighted textbook-adoption process (when Newark and Detroit rose up, children everywhere learned that America was multiracial); she's read the texts themselves, from the consensus products of the early Republic to today's diverse output; and she's studied the currents of thought, the conflicts, the reforms and retrenchments, within the educational establishment. Her dual concern: what the textbooks do convey and what they don't accomplish. Thus, her central section describes the changing treatment of immigrants, blacks, Indians (who alone declined in esteem), Latinos (inheritors of "Hispanophobia"), the poor, the Vietnam War, and foreign policy generally. In one case, she asks, provocatively, what a truly "multiracial, multicultural" history would be like (the message would be "that Americans have no common history, no common culture, and no common values"); in another, she concludes that, insofar as they treat "international relations as the sum of a government's foreign policy," national histories are outdated per se. But she is most distressed by the dullness, vapidity, and lack of continuity in the texts ("the naturaldisaster theory of history"), which she attributes to their practice of ignoring ideas, their lack of intellectual content--traceable, in turn, to the inherent "intellectual reductiveness of pedagogical thinking." Let us not perpetrate "bland fictions," she argues, but face up to conflict and suffering--in and out of school. Vigorous and persuasive.